After the success of Tickle Me Elmo last year, Fisher Price launched a new Elmo for the whole family. 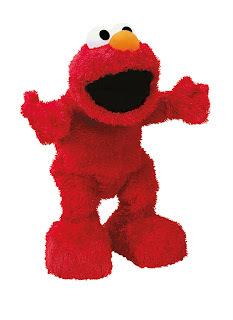 This new breed of Elmo, Elmo Live!, hailed as the "most innovative and engaging Elmo toy ever," will officially hit store shelves today (October 14th) for $59.99, though we suspect the first batch will be snapped up in no time flat. Of course, those of you intent on retaining your sanity probably pre-ordered a few months back, but for everyone else, your battle to get one of this year's hottest holiday gifts starts in under 24 hours. For those wondering what's so special about this fellow, he supposedly tells jokes and makes movements that "give kids the feeling that Elmo is alive in their own homes."